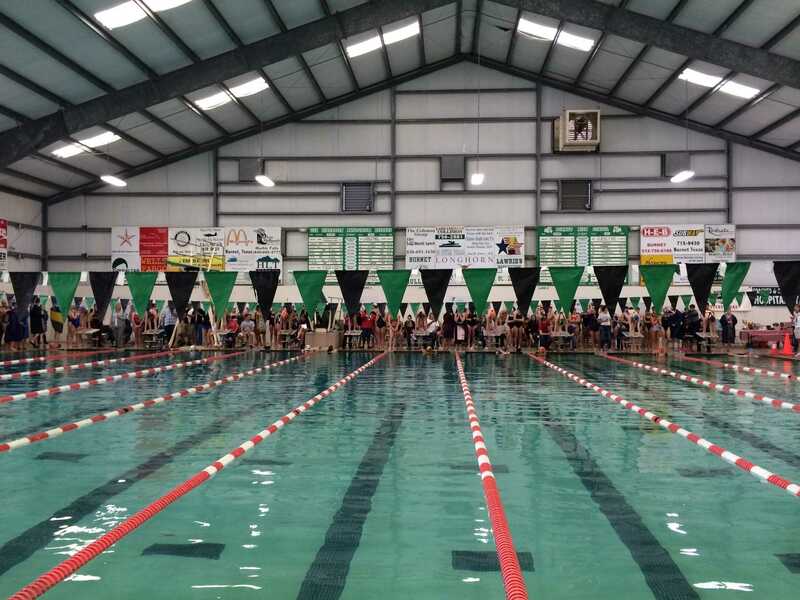 The Ann Richards Stars Swim Team participated in the Tex Robertson Meet on Friday January 10th at the YMCA Burnet, where they competed against a large amount of mainly private schools as well as large high schools around Central Texas. 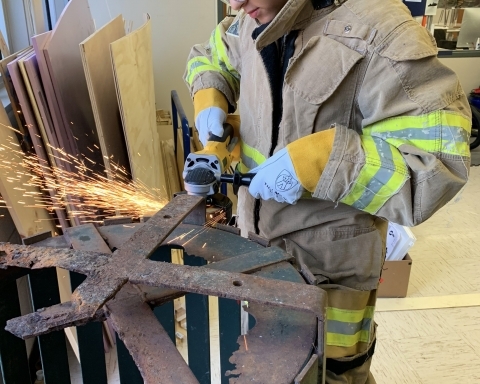 Unfortunately, only senior Hanna Searcy, junior Chloe Coronado Winn, and sophomore Willa Smith could attend the meet, as Meredith Oldham and Leah Sherman (sophomores) were unable to attend. This meant no relays could compete, but the three girls did well in their individual events. Chloe Coronado Winn competed in the 200 Free, an event she hasn’t done for over two years, so beat her seed time, which she felt was a big achievement, and also competed in the 50 Free where she broke 30 seconds, a personal goal. Hanna Searcy competed in both the 50 Free and the 100 Breast, where she beat her seed times and felt she did well. 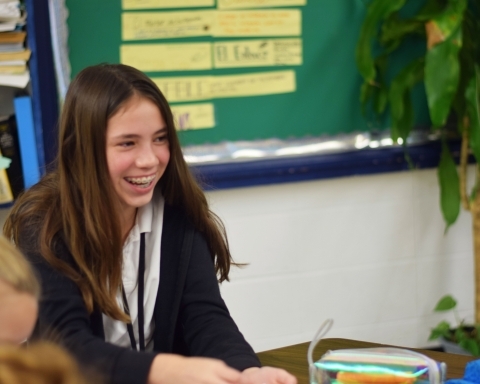 Willa Smith was slightly injured at this meet, so took it easy on her events, adding a second to her 200 Individual Medley time (to make a 2:41) and ten seconds to her 500 Free time (to make a 6:51). Although the meet had some technical difficulties which prolonged the original end time, overall the meet was a success, and the swim team is looking forward to their District Meet on January 24th at the UT Swim Center, whose results will determine their eligibility for Regionals, which the team competed in last year. 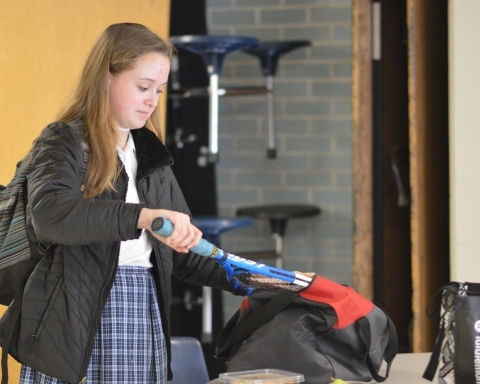 Sofia Duarte (8) takes her tennis racket out of her duffel bag. 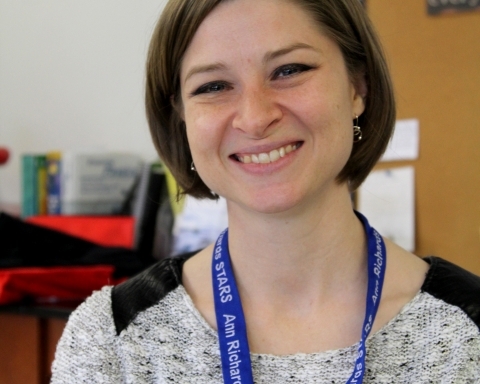 Every single year there are new teachers joining the Ann Richards family.